This weekend, I visited my sister in Maryland for a bit of countryside, a breath of fresh air, and because I just missed her so. We spent the day strolling around the quaint little town of St. Michaels, an enchanting little place tucked away by the Chesapeake Bay. Along the water, we found bed and breakfasts covered in overgrown ivy, snuggled up next to some of the most beautiful Victorian homes I’ve ever seen. The folks seemed all tan and glowing, so carefree, without a care in the world where their next step took them. It was clear people came here to relax and unwind. How could I resist such an invitation? My sister and I grew up learning how to cook together. As children, we were our dad’s best sous chefs, mincing garlic, chopping tomatoes, whipping eggs into a nice froth, and so forth. Through the years we’ve honed what I like to call a nice cooking harmony in the sense that we just know how each other works in the kitchen and what to do next that it hardly needs verbalization. Needless to say, it gives me absolute joy each and every time we get to cook together. 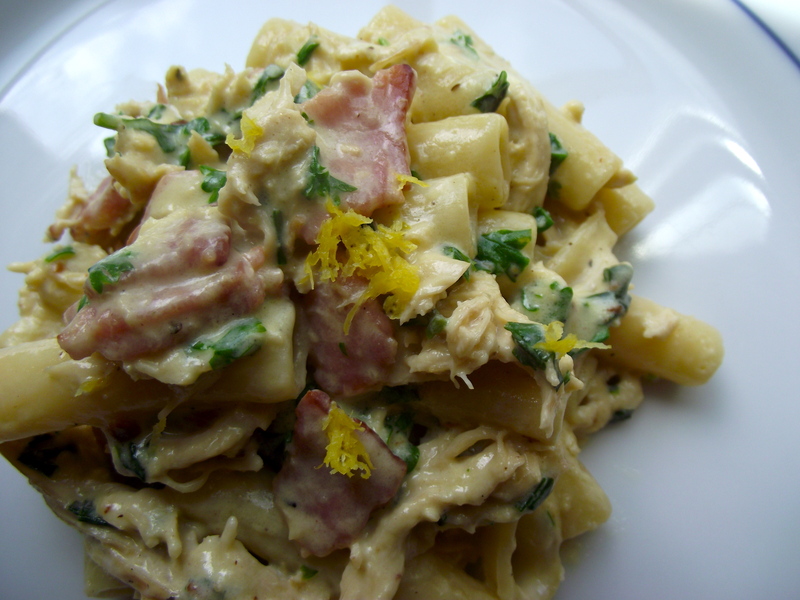 This weekend, we did just that, starting with one of her personal favorites, Chicken Carbonara. 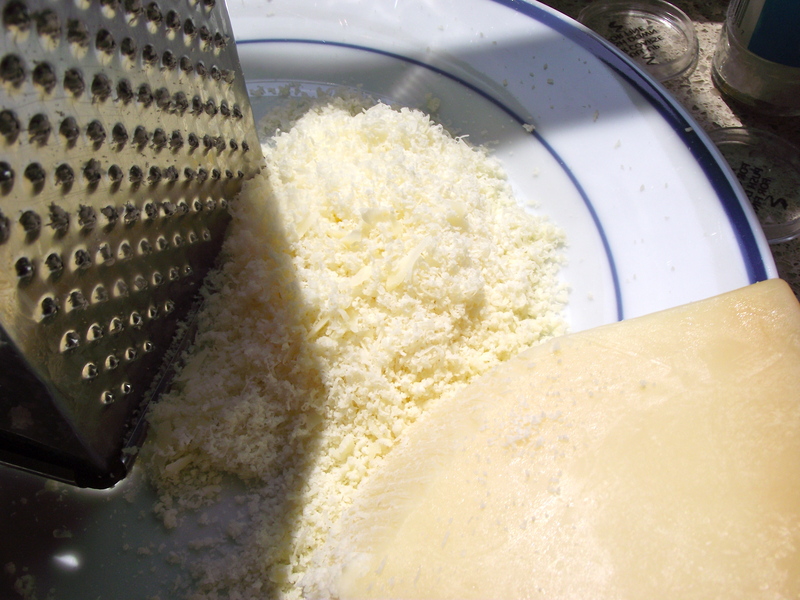 When I arrived at her house, she had already started grating the Parmesan. “We’re using Giada’s recipe by the way”, she says, “..with a bit of my twist to it”. Of course you are! For once, someone telling me what to do in the kitchen. It was a nice change, but don’t get ideas. 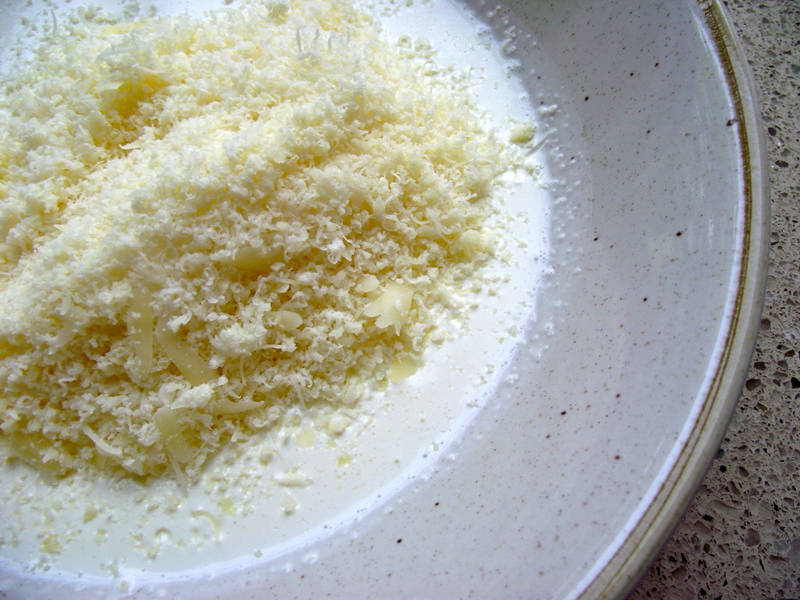 Step 2: In a separate bowl, add the whipping cream, then add the Parmesan Cheese. Don’t mix just yet. My sister’s kitchen has a wealth of colorful bowls and plates and I couldn’t resist the opportunity to photograph them every chance I could. Ah I can’t wait until I get a kitchen of my own, with room for tons of dishes and color, and copper pots.. but I digress. 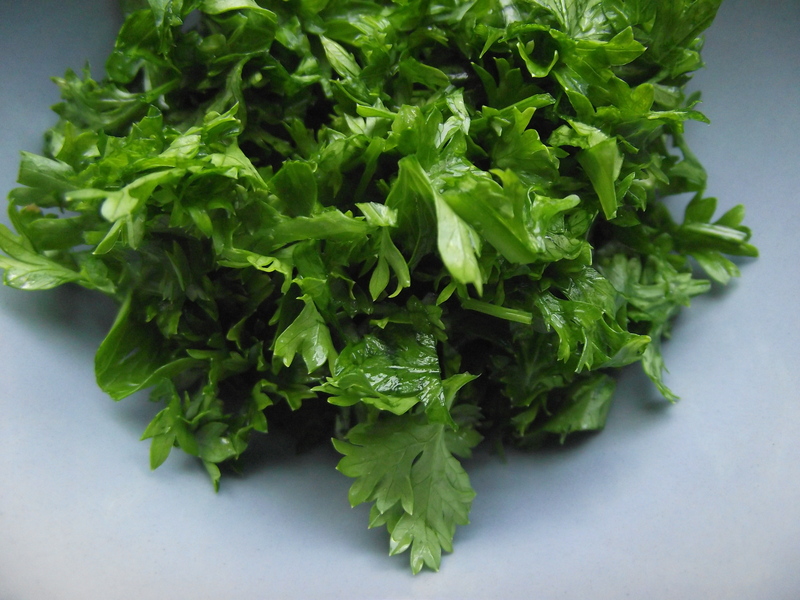 Here’s the chopped parsley. 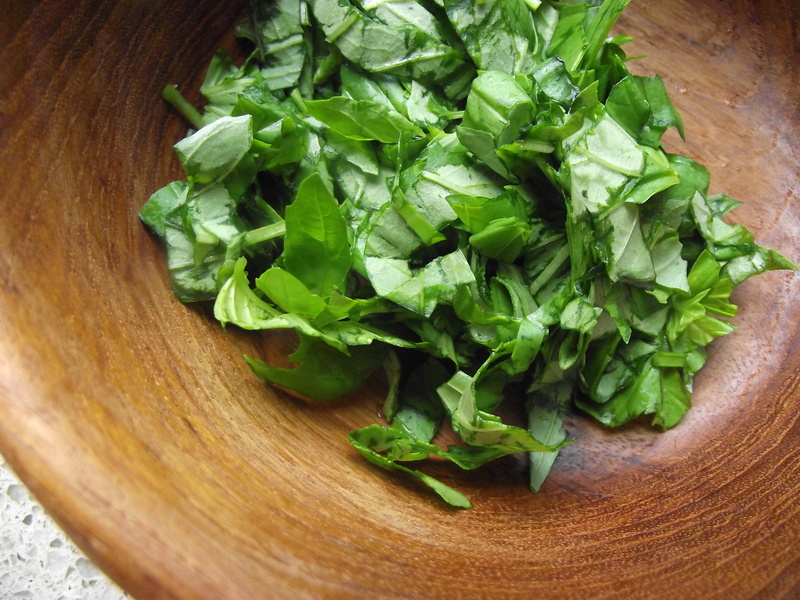 And the chopped basil. I love this wooden bowl. 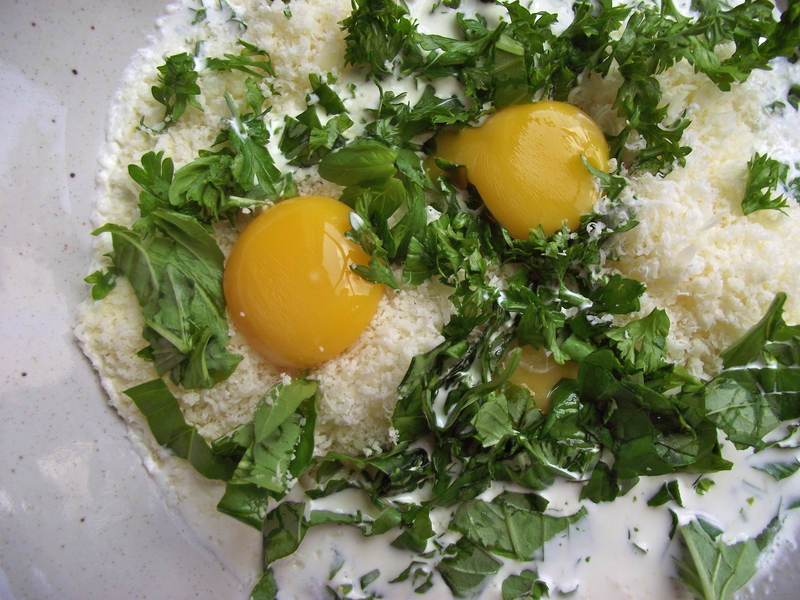 Step 5: Add the chopped parsley, chopped basil, and 4 egg yolks to the cream and grated cheese. The fourth one took a dive beneath the surface and the third yolk is barely hanging on! I would too if I was swimming in a pool of yummyness. Mix this thoroughly until everything is evenly combined. Then place the bowl in the fridge while you get the rest of the ingredients ready. 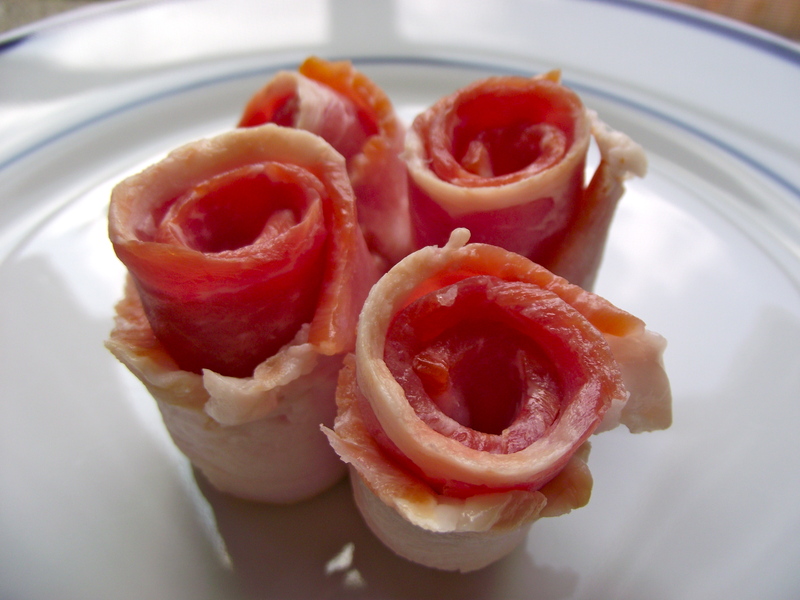 Step 6: After you’ve rolled up your bacon to look like flowers, unroll them, stack them on top of each other and slice them into bite size pieces. You can trim off the fat from the bacon and use double the number of bacon strips if you’d like. Set these aside. Step 7: Begin cooking the ziti pasta. Follow instructions on the box and add salt and a bit of olive oil to the water. When the pasta is done, drain but keep the pasta warm. Their heat will help cook the cream and egg yolks later on. 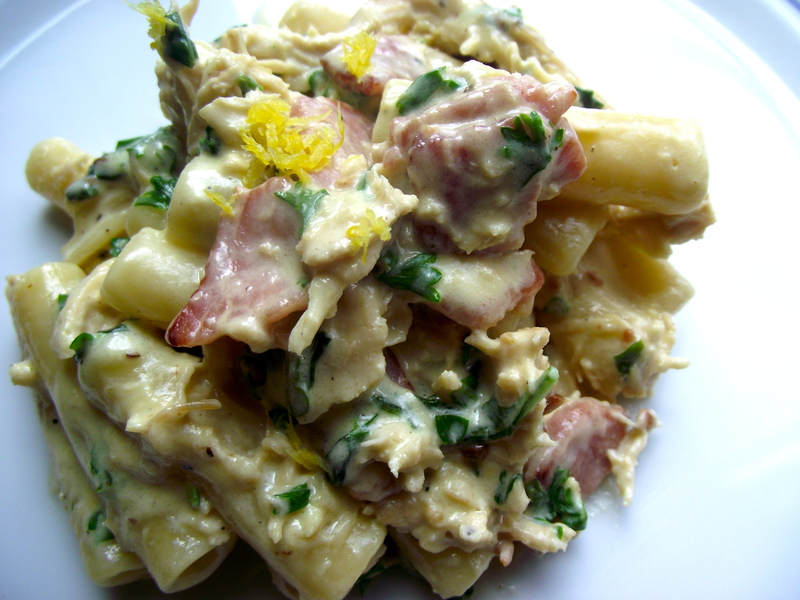 I love using ziti for this because in some magical way, the carbonara sauce finds its way inside the ziti. I can’t even describe what biting into that is like. Life-changing, I think. Step 8: In the meantime, while you’re waiting for the water to boil, heat a non-stick frying pan with olive oil on medium heat. 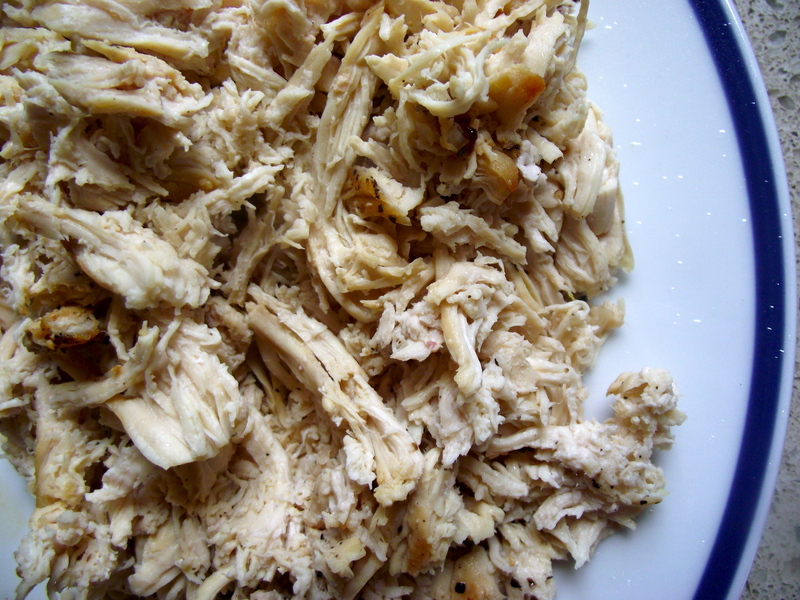 Once hot, fry the chicken breasts until they are cooked. 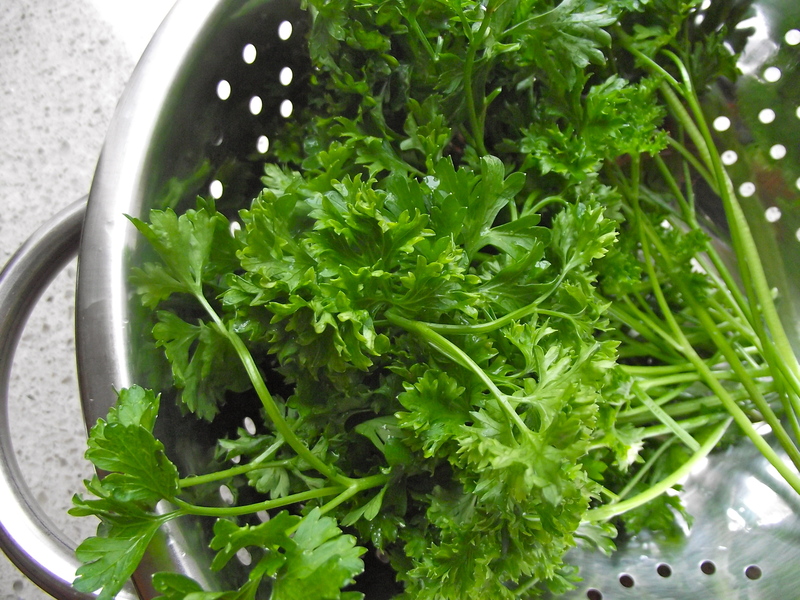 Set them aside to cool a bit before you start shredding them by hand. Or you can use two forks and shred them this way while they’re still hot. Step 9: After the chicken is done, heat a deep pot with olive oil on medium heat. When hot, add the garlic, followed by the bacon. 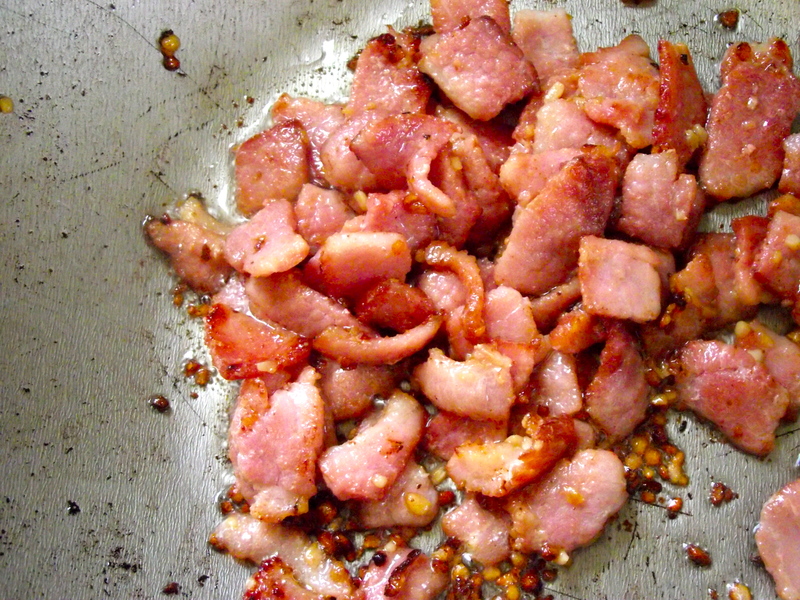 Continue until the bacon is crispy and golden brown. Then take a piece out to taste its done-ness. Then proceed with two or three more pieces. Don’t feel bad about it. 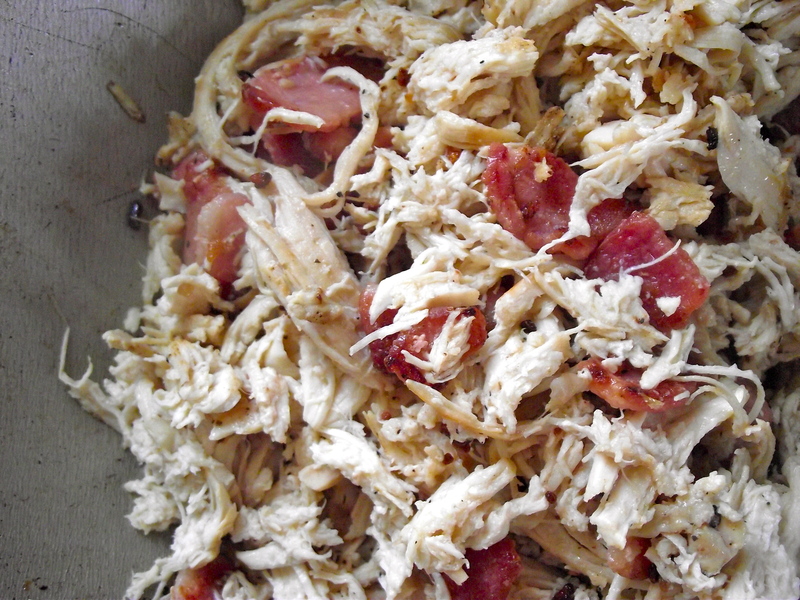 Step 10: Add the shredded chicken to the bacon. Mix, mix, mix. Then turn the heat down to medium-low. 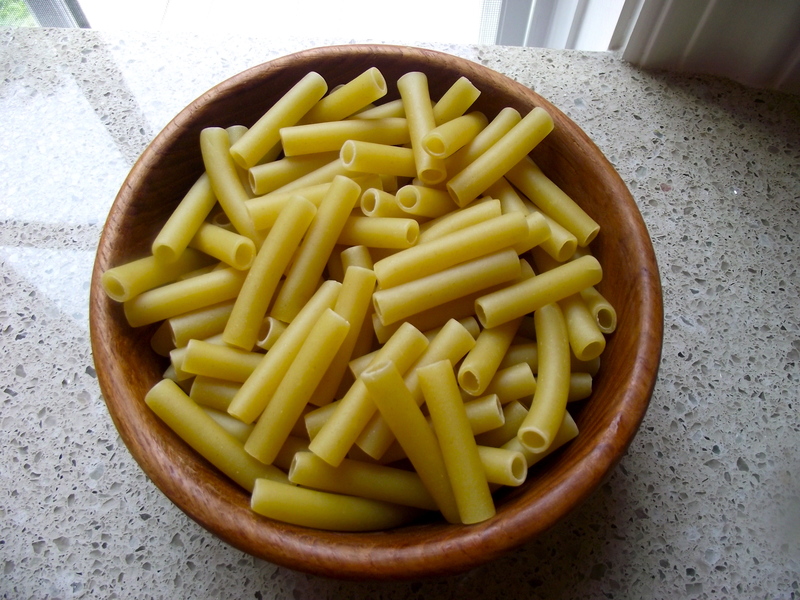 At this point, the pasta should be almost done cooking if not already drained and kept warm. Delicious things await. 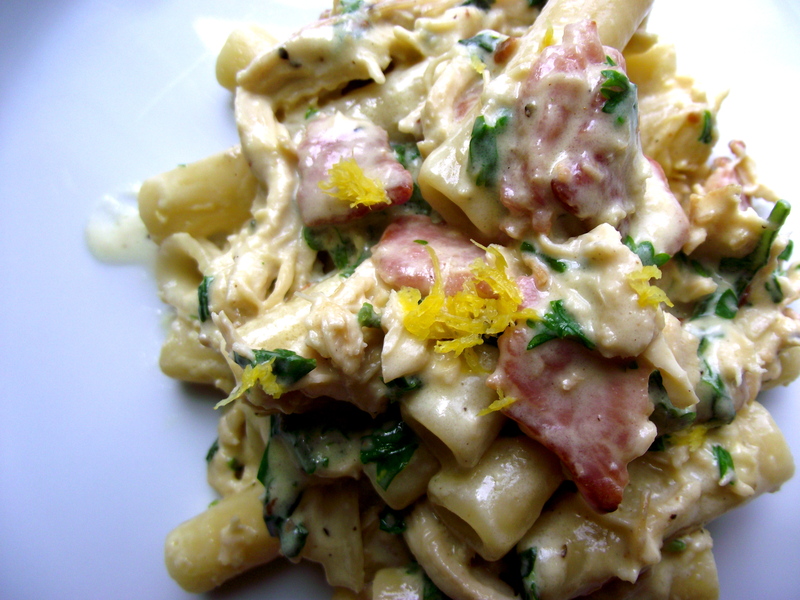 Step 11: Take out the carbonara sauce mixture from the fridge and gently pour it on top of the chicken and bacon. On top of this, add the warm pasta. Mix and taste. Add more salt and pepper if needed. Mix some more. Taste some more. Sneak a bite while she’s not looking. Then sneak more bites. Then pass the point of not caring if she catches you. Because it’s just that. good. Oof. Turn off the heat, transfer into a separate bowl and serve. I know this will continue to be a favorite of ours for a long time to come and I hope you enjoy it too! “For once, someone telling me what to do in the kitchen. It was a nice change, but don’t get ideas.” Oh snap! Loved the story about you and your sister growing up cooking together as well as the color in your pictures. I approve of your liberal use of green, the contrast between it and the wooden and red bowls. They’re just getting better and better. Thank you! 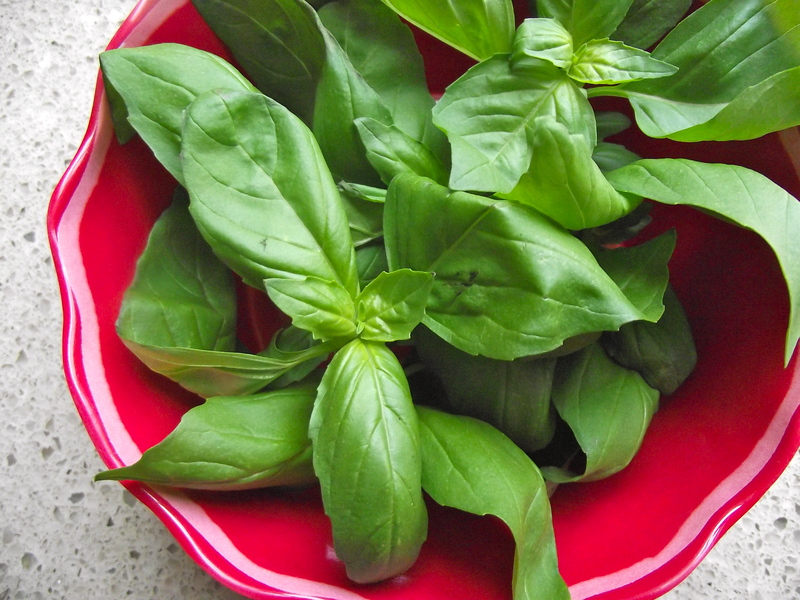 Color in the kitchen is one of my favorite things, especially the color green. It just makes everything look so fresh and appetizing. Liberal use – yess! ❤ ❤ ❤ this post!! reading your blog doesn't feel like reading a recipe, it's like reading a story, and i absolutely love it. 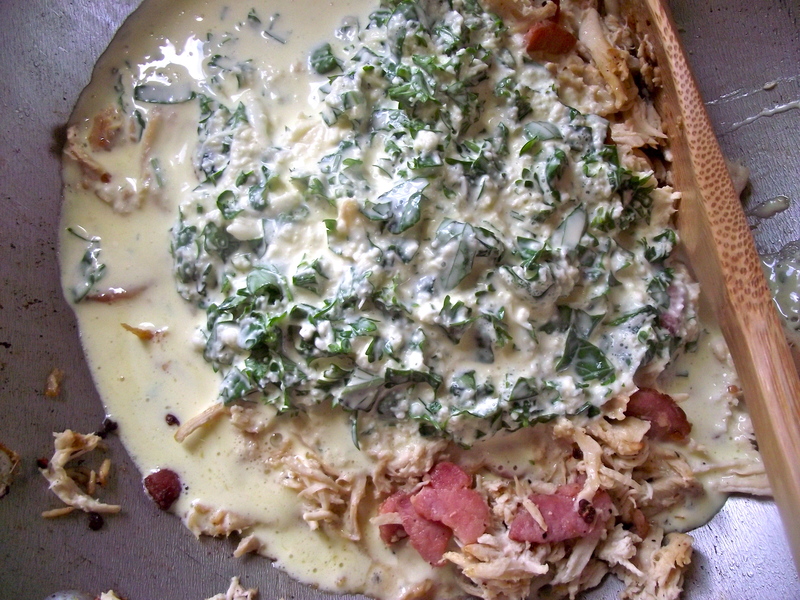 i will definitely be trying this recipe soon!! Thanks for the love, Nelle =D. Sister love is indeed one of a kind. Sometimes you can’t live with them, many times you can’t live without them. I know you know exactly what I’m talking about! Heeey hey hey! I always love being with you!! Can’t wait till your next post! Ahaha, I know you can’t =) Soon, pishter, soon.